She says she’ll remain chair of the House Republican Conference. 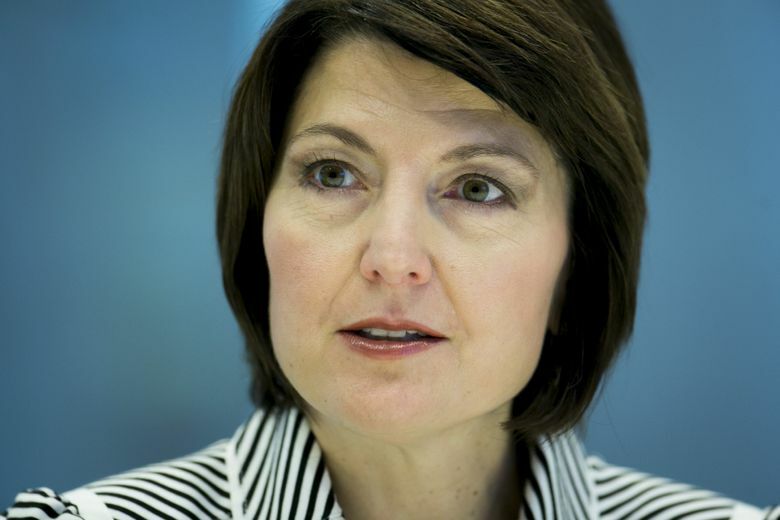 U.S. Rep. Cathy McMorris Rodgers of Spokane will not run for House majority leader. In a statement Monday, McMorris Rodgers said she’ll seek to remain chair of the House Republican Conference, the No. 4 position in the House GOP. As the highest-ranking woman in the House Republican leadership, McMorris Rodgers had been seen as a possible top contender for the majority-leader role — the second-ranking House GOP position — in the leadership shuffle following House Speaker John Boehner’s announcement last week that he’ll resign at the end of October. The current majority leader, Rep. Kevin McCarthy, R-Calif., is the leading candidate to take the speaker’s gavel. She did not say whether she’ll back one of the other candidates for majority leader. Politico, the national political website, reported McMorris Rodgers’ decision leaves the majority-leader race to two candidates: House Majority Whip Steve Scalise, R-La., and House Budget Chair Tom Price, R-Ga.
McMorris Rodgers has represented Eastern Washington’s 5th Congressional District since 2005.